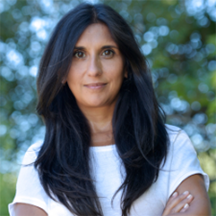 Neeta Connally, PhD., is an Assistant Professor of Biology at Western Connecticut State University who has been researching the behavior of ticks. Before coming to WCSU, she worked with Dr. Tom Mather at the University of Rhode Island’s Tick Encounter program. Dr. Connally is also the scientific advisor for the BLAST program, which used her research findings to put together their simple, important message of prevention. For the past three years she has been studying bait boxes as one prevention method, surveying households in western Connecticut. She has built a Tick Research laboratory at WCSU, and she directs her students on tick drags in the Ridgefield area. Editor Janet Jemmott spoke with her about research and the best ways to protect oneself from tick-borne disease. Give me an overview of what you do here. Sure. Here at Western, I am an Assistant Professor of Biology. I’ve been here since 2011. In addition to teaching courses in biology, I have an active research program in the Tick Research laboratory here at Western that was established the year I came with help from funding from the Centers for Disease Control and Prevention (CDC) through a cooperative agreement that was awarded to the state of Connecticut’s health department. So I work with the CDC and other collaborators on that grant, as well as with the Emerging Infections program at Yale School of Public Health. Prior to coming here I was a research scientist for six years in that program at Yale. When I left and came here I was able to continue the research, which has focused on the prevention of Lyme and other tick-borne illnesses in the northeastern United States. What drew you to study Lyme disease or ticks? It sounds like it started when you were at Yale. It actually started long before that when I was a senior in college. I took a course in parasite biology - tapeworms and malaria - and found it fascinating. I went on to pursue a masters in public health (MPH) with a focus on human parasitology, and it turns out that a lot of parasites are transmitted by insects and arthropod vectors. After receiving my MPH, I moved back to New York and was able to connect with the state health department. They had just started a Lyme disease vector ecology study in collaboration with the CDC. This was my first introduction to hands-on work with ticks - and I loved it. So I stayed in New York for two years and then went on to do a PhD. with Tom Mathers at the University of Rhode Island. That program focused on medical entomology, the study of arthropods that transmit diseases to humans. In that time I was doing public health stuff and studying tick biology. The focus of my work falls at the crossroads where human behavior meets tick biology. My interest is in prevention. How we can control ticks? What activities put humans at risk? How can we help people understand how they might prevent tick encounters? How is that going? How do you convince people to change their behavior? That’s a great question. We don’t know the answer to that. Research tells us that many people do not start prevention until they themselves are sick or someone in their family is sick, and so the people who have been greatly affected by Lyme disease or some other tick-borne illness are pretty good at prevention. Unfortunately, it comes late. So this question is on the minds of many in the field right now: How can you get people to act to prevent tick bites? The BLAST program and other health education programs and web resources can help us educate people. We need a really big grassroots effort with people on the ground telling others: Here’s what you can do. Many people don’t actively seek information, but if they’re at a parade or health fair where there’s a booth with information on ticks, they can be made aware of the issue. Having that encounter where you’re informed is very important. On our end, we do prevention research and publish the findings in scientific journals, but those findings need to be disseminated to the public. We need to take the scientific findings and apply them to evidence-based practice. We’re working with BLAST and they do a great job, but it’s a small program and you can’t reach everybody. There’s a need for more. What about reaching healthcare practitioners, doctors and nurses, NPs and PAs? Is there anything out there? Just what’s available from the public health agencies that work with practitioners. We’ve been doing population-based studies of citizens of Connecticut and New York and Maryland residences as well, and we study various interventions and see if they are helpful in preventing disease. Practitioners need to know what works and what doesn’t work so they can educate their people. But if you think about it, health practitioners have to promote a lot of things about health – fitness and heart health and mental health and many other things. They’re busy and it’s hard to also put tick prevention messages in the queue. It would be great if they could and certainly there is a need for continued education on prevention, in addition to diagnosis and treatment. Certainly it’s important to let people know that, especially in the summer, tick prevention is important. Are you doing research right now? 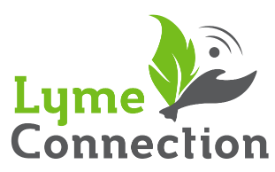 We are currently in our final year of a Lyme and other tick-borne diseases prevention study, specifically, a bait-box prevention study that is taking place in several communities in western Connecticut. There are 12 to 14 towns and 500 households enrolled. We also had 120 households involved in a pilot that ended last year, so in total we have 625 households in the study. It is a randomized, placebo-controlled, double-blind study, which means that homeowners don’t know whether they’re getting the real thing or the placebo. Half of the households get a bait box – a rodent targeted device - that have a fipronil treated wick (Fipronil is a broad-spectrum insecticide.). The other households get the bait box but the wick is not treated with fipronil. The boxes are placed in the yards and they’re there for three years. Homeowners are surveyed once a month to determine whether they have had tick encounters, what kind of tick it was, and was it on them. Any ticks found on them and their pets get sent here for identification. Homeowners are also asked whether they were diagnosed with a tick-borne illness. If they were diagnosed, we ask if we can review their medical chart. The ultimate point of this study is to see whether having the bait boxes in the yard actually reduces the number of ticks on the property and the incidence of human illness. My part involves monitoring the ticks. I have people in the field visiting residences. They sample the ticks to see how many are at each property, but nobody knows who got what treatment. We’ll finish our data collection this summer and we’ll follow those households until the end of the year. Next year we’ll be able to say that bait boxes help prevent disease or they don’t. That might be one tool that could be really effective. When I was at Yale, I worked on a case control study where we enrolled 700 members of a Connecticut community, maybe half of whom had been diagnosed with Lyme disease and their neighbors who hadn’t. We asked them 137 question-survey about what they did in the days prior to getting sick and we found some major findings that you’re probably very familiar with now, that checking for ticks within 36 hours and bathing within two hours of being outside helped prevent disease in our Connecticut residences. So that’s really changed our prevention messages. A trail sign used to say: Stay on the trail, tuck your pants in your socks. Now it says: Check yourself for ticks and take a bath or shower soon after going home. So we’re studying prevention measures in an at-risk population, and we’re trying to identify ways to keep people from getting sick. It may not be one magic thing, it’s probably a number of things that we can integrate. When you said that the four people who are out today are checking the property, do they do tick drags? Yes, we drag a 1-meter square cloth on the properties along the ecotone. The ecotone is that zone that’s not full woods yet but not full lawn. It’s highly productive for ticks because deer and mice love that area too, so that’s a real high-risk zone in the backyard. We’re sampling other places in the yard, but for the most part we know that the highest risk is at the edge. We sample a lot from Memorial Day till the middle of July at the residences. This is our fifth summer we’ve been doing weekly monitoring, so the first week of May to the first week of August we monitor the nymph activity at three sites in western Connecticut. So we know what the ticks are doing, when the peak occurs, and how bad a year it is. Does the University of Rhode Island post that information? Yes, he has the Tick Spotters where people report that they’re finding ticks. I was just on the phone with him shortly before you came and he was saying the tick numbers are up this year from last year and we’re seeing that with our data, the tick numbers are much higher. There’s a huge number of factors that contribute to that, the weather, the humidity, precipitation, and in addition to that we have what’s going on with the hosts. Immature ticks feed on small mammals and birds, so the size of the population of small mammals and birds affects who gets a blood meal and how many ticks there will be. Also, the adult ticks feed on the deer, so if there are a lot of deer, then there are a lot of hosts for the ticks, which will affect their numbers as well. There are many factors. When will your study be published and where? I don’t know; that’s in itself a big thing. We have to analyze the data, write it up, and submit it for peer-review publication. The case-controlled study that involved 700 residences was published in the American Journal of Preventative Medicine. We just published something in the Journal of Vector Ecology. There’s a journal called Ticks and Tick-Borne Diseases, and a Journal of American Public Health. We’ll have to find the right place for it but I imagine it won’t be before a year; let’s talk in a year. It takes a long time to study one thing. Are you seeing any other types of ticks besides the blacklegged tick, Ixodes Scapularis? We see a lot of the American dog tick. Those ticks tend to be in tall, grassy areas. Occasionally we see the Lone Star tick, Amblyomma americanum. They’re not established here in Connecticut, but they’re on Prudence Island in Rhode Island, and on Long Island. We think they come here on birds. In our drag samples we occasionally find woodchuck ticks – another Ixodes species, also the rabbit tick. Do you analyze the ticks to see what’s in them? For this study we send all our ticks to the CDC. They’re testing our ticks for Lyme bacteria, anaplasma, Babesia, as well as the novel Borrelia myamotoi. So we’ll have the rates of infection of those ticks. We just published a paper from a similar study using spray that has some infection rates (See the box direction). I think Powassan got reported in a way that was alarming. It’s not a new virus. We’ve known it’s here. We know it’s in the ticks at a very low rate. Powassan is an RNA virus as opposed to a DNA virus. It’s more unstable in the laboratory. It’s more difficult to test for and no one was testing for it. But, someone looked for it and they found it. In ten years there have been 60 cases. It’s rare but disconcerting because studies have shown transmission in 15 minutes of attachment. So even though it’s very rare, if infected, it can be extremely serious. So while it’s alarming to people, I think there’s a silver lining in that people may be more diligent about preventing tick bites. I don’t want to scare people into prevention; I think we should enjoy the outdoors. I want my kids to go out and play. We have to be diligent. We all have our part, our responsibilities. I’m studying the tick and prevention methods and will tell you what are the best methods of prevention. But as a resident of an area with tons of ticks, you have a responsibility too. Just as you would buckle your seat belt or wear your helmet when you ride a bicycle, I think we have a responsibility to check ourselves, check our kids, maybe modify our landscape if it’s particularly tick-infested, and treat our pets. You can spray your yard; it works great. If you don’t feel comfortable with spraying, don’t do it. There are other tools you can use. Check your body for ticks within 36 hours of being outside. Take a bath or shower within two hours. You can spray the heck out of your backyard and then get a tick bite at your neighbor’s house. Checking yourself and bathing is easy to do and not going to cost anything. When the bathing came out as a significant finding, we were surprised. But it makes sense because you’re removing clothes that might have ticks crawling upon them and you may be washing off ticks that might be attached. Of course, if they’re attached they’re not going to come off. So those behaviors we know are protective. In our study, risk was reduced by 50 percent. Checking for ticks within 36 hours can reduce risk by as much as 45 percent. Bathing within two hours after being outside may reduce risk by as much as 58 percent. We also found that applying repellent can be protective. The research tells us that the most effective repellents are those with 25-percent DEET or more. There’s limited effectiveness with things like lemon eucalyptus, which need to be re-applied more often. That’s not to say other things we studied don’t work, but they weren’t practiced as frequently, like tucking your pants in your socks, or wearing permethrin-treated clothing, which is very effective in preventing tick bites. We need a little more data on permethrin-treated clothing, but from the standpoint of the tick biology, permethrin-treated clothing works very well at preventing tick bites. Does permethrin repell the tick or does it actually kill them? It does both. It has repellent properties and toxic properties as well. The ticks will crawl on - I’ve seen it in the laboratory but they typically fall off. Eventually, those coming in contact with the treated fabric will die. You can wear treated clothes through several washings. You can treat the clothes you wear outside; you can treat your shoes. We don’t have the data on that to say it prevents people from getting sick. However, there’s a study of forestry workers who wore permethrin-treated clothing and those who did not definitely got more ticks. So that seems to be pretty effective. I can tell you what I do. I used to spray my yard at my old house. I had Connecticut Tick Control; I think they sprayed with Bifenthrin. At my new house, I sprayed the first year, but I have chickens now. Because I let my chickens out, I don’t spray the property. Chickens eat ticks but they’ll eat everything else too. Presently, there’s no data that shows that chickens reduce ticks in any significant way. They’ll eat them but they may not control them, and guinea hens stay in the center of the lawn, not around the edges. During the nymphal season (May through July), we check ourselves every day because the nymphs are so small. During the academic year, when the kids are in school, the adult ticks are easier to find. We put them in the bathtub or shower every night and do a tick check. We’re very diligent. I would spray my kids with Deet if I were finding tons of ticks on them. I would also put permethrin-treated clothing on them if they needed it. But for me, with daily baths or showers and tick checks, we’re in pretty good shape. Of course, you can modify your landscape: clear the leaf litter and don’t put your playground in a leafy, shady area. My landscape may be very different from yours. We’re on four acres, with a wooded edge on three sides. One day I walked to the mailbox with my dog - it’s a quarter mile each way. The dog dragged the leash on the way and when I picked it up there was the tick. What about repellents for personal use? Have you seen the new Consumer Reports recommendations? I haven’t seen their methodology. They were recommending the picaridin, which is very effective for repelling mosquitoes, but previous studies haven’t shown it to be highly effective with our ticks, the blacklegged ticks. Consumer Reports has reported this topic a few times and their methods have been pretty good. But because I haven’t seen the methods of the latest recommendations, I can’t comment. I do know that DEET at 25 percent or more is effective. For personal repellents, you can use lemon eucalyptus, available in commercial products. Those can go on the skin, but they need to be reapplied. Permethrin is a chemical that you treat your clothing with. You can treat it yourself or have it professionally done. If you treat it, it’s usually good for six washings or a certain number of weeks depending on the treatment - it’s pretty effective. You can send your clothes to Insect Shield, a company in North Carolina. They’ll treat your clothing. I send our coveralls that the students wear when they go out to do a tick drag. They’re good for 70 washings or the life of the garment. I’ve had one student in five years that had a tick upon them but they didn’t follow our safety protocol and the tick got in where it shouldn’t have. You can buy Insect Shield brand clothing in stores. I just send all of our field wear over there. You said you do tick checks at night at home but their clothing’s not treated. It’s not, but I would have no reservations about putting treated clothing on my kids. If they were going off to camp and would be in the woods all the time, I would put them in some treated clothing. My husband’s a beekeeper. Do we have to worry about the bees landing on treated clothing? I wouldn’t wear permethrin-treated clothing around bees. What about treating the property? Often the green sprays or organic sprays are a synthetic pyrethrin, which is botanically derived from chrysanthemum. They are effective but need to be applied more frequently than a synthetic pyrethroid, like Bifenthrin, which has a longer lasting residual effect. The thing with the synthetic pyrethroids like bimethrin, they are toxic to arthropods and that includes pollinators, so they’re pretty broad spectrum, so treating your property should be done conservatively. Treat where lawn meets woods. Treat the leaf litter. There’s no need to cover your entire landscape with spray. I think that with all pesticides, it’s best to use a licensed operator who’s specifically knowledgeable about ticks and their ecology. If you keep bees on your property, I wouldn’t spray. You have a whole set of tools to prevent tick encounters and you choose the ones that work for your situation. We don’t want to kill all the bees and we want to keep from getting sick so you have to figure out how to be environmentally responsible - treat the ecotone area where most of the ticks are. Don’t go beyond it or forward from it. I’m comfortable wearing DEET and putting it on my children; it’s FDA approved for use on children and even babies older than two months of age. It’s been studied and there’s a lot of research on it. After weighing those options, it’s not a difficult choice for me, given the risk for what can be a very debilitating and sometimes-fatal illness. We need more education on what is safe. At the end of the day, our research shows two prevention measures that don’t require anything controversial: take a bath or shower and check for ticks. So we have to educate people, tell them: Just do these two simple things and you’re going to decrease your risk. It should be a regular practice. We’re busy; we don’t think about it. It’s hard to make this a priority. It’s not a problem just for Lyme disease. It’s a hard mountain to climb, to change behavior. We talk about it every time we talk about what we’re studying next, because you can study something and show it works and it doesn’t matter if it’s not socially acceptable, or it’s just not convenient or it’s cost-prohibitive. What I do know is if you think others around you are doing it, that will strongly influence you and you’re going to do it. So we need to find more people to practice these behaviors and make it part of their lives, and then those around them will make it part of their lives, an ever-widening circle. It’s like how more and more people are bringing their canvas bags to the grocery store. It has to be a sea change. I do think an on-the-ground effort is important. I can sit here at my desk and do research and publish a paper, but that’s not going to change people’s behavior. It will give information to other scientists to ask the next question and that’s important and that’s how science works. We don’t have a lot of funding or people on the ground to say here’s what works and here’s why maybe your perception may not be correct and here’s the information about it that’s correct. I think that we need more of that. There are support groups and advocacy groups for people who have been sick but there’s not enough effort aimed at prevention and we need more of it. If we have more conversations about prevention, we can have less of those conversations about diagnosis and treatment because we can get it on the front end – we stop it in its tracks. Where do you see your research going? What’s next? I have other interests. Last year we tried to launch a chicken study but we didn’t find enough people. We want to know if the chickens are eating enough ticks to be helpful. So we’re looking at that, we’re testing various repellent formulas on ticks; that’s in the infancy stage right now. Different composite formulations, where you put different things together that are somewhat repellent on their own. Those are small projects. We’re interested in how people check for ticks and how well they do it. So, you know how if you brush your teeth for two minutes, you reduce your plaque by 90 percent or whatever it is. So, I check myself for ticks. What if I check myself for two minutes or whatever that number is, we don’t know what it is, and I find 90 percent of the ticks on my body. So maybe we say: Check your body for ticks for two minutes or while you’re singing happy birthday so the quality of what you’re doing is better. So I’m interested in that. And depending on the findings of the bait box study, there will be more to know. The answers to this will dictate the next question. If it works, how will we get people to use it? Will it become cost-effective? Who needs to use it? If it doesn’t work, what can we try next? There are many unanswered questions. We did a three-year study that gave us two little bits of information about what works: checking for ticks and bathing. It takes a long time because we need to study a lot of people. That’s the thing about science. If you have a personal experience, it’s anecdotal. With science, we look at the whole population; it’s statistics and science and it requires a lot of people and a lot of ticks, so it’s a major process and it takes a long time. And you need the funding too. Yes, of course, that drives what we can do. If I’m sending my kids off to summer camp how do I protect them from ticks? Permethrin-treated clothing is a great tool for people to use when sending their kids to summer camp, especially if they’re going to be outside all day. If they’re coming home at the end of the day, I recommend everything comes off and goes in the wash and they bathe, right when they come home. And I would check for ticks. If kids are older, they check themselves. They could use repellent before they go, but permethrin-treated clothing will last all day. Treat the shoes because in the summer, the nymphs are down very low, they’re looking for a mouse. Do the adults climb trees? No. The adult stage of Ixodes scapularis is looking for a deer. If you think of chest height for a deer, that’s the highest a tick will go. They’re very passive; they just wait on the vegetation; they’re very opportunistic. Do the ticks sense when you’re there? They do. On their front legs they have sensors called Haller’s organs that detect heat and carbon dioxide. If you ever see a tick questing – that’s when their front legs are out and waving – they are sensing and then they just grab on. They don’t jump; they don’t fly. There’s a whole population now that’s afraid of getting out into nature. It’s sad. We want to enjoy and experience and be part of our surrounds. We’ve got a ways to go but we’re moving forward. We’re in an area of the country where there are many highly educated people, but they need to be reminded. Awareness is good. A reminder is a good thing. Jennifer Reid has those tick-check stickers, one you can stick on your mirrors and it will remind you to check yourself. Those reminders are important. We live in a beautiful place where we’ve nestled our houses in the fragmented landscape. We have privacy and beautiful hardwoods around us – it’s special. If you’ve had a terrible experience with a tick-borne illness - I get it. I hope that with what we’re doing we can one day get to a point where we don’t have to talk so much about it, that one day we’ll say my grandmother was very sick with this, instead of I was sick with this. We’re not there yet. Dr. Connally shared the information below. We sampled three schools in Ridgefield on Friday, 6/19. Not surprisingly, nymphs were found at all sites. To give you a frame of reference, the week before at our monitoring sites (3 nature preserves), we found 117 (Ridgefield), 180 (Danbury), and 342 (Newtown) nymphs per hour. Despite the relatively low numbers, there is a tick exposure risk at all of our schools. The habitat is perfect (the “play area” in the woods off the Farmingville playground is particularly risky). Since schools are still in session during what we are seeing as our peak nymphal tick density week (1st week of June), it might be good to have a conversation about how we might minimize risk at each location. Spraying may not be necessary, but some signage or some landscape modifications may be helpful. And/or a note home to parents in late May as a reminder to be checking bodies daily. Ridgefield – 117 per hour /McManus preserve on Oscaleta Rd. It’s consistently our lowest of the three sites.